Music journalist Lester Bangs forged a lasting impression on my music psyche. 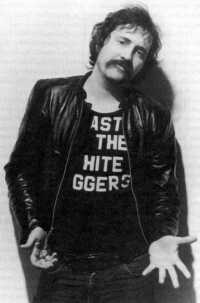 Lester Bangs was widely considered to be the most influential critic of rock and roll. He wrote for CREEM, the Village Voice, and Rolling Stone. He lived fast and died young like the rock and roll he wrote so passionately about. I believe his formula of self-destructive genius was why he commanded such a command of the subject. I got the chance to meet Lester Bangs in 1978. I was walking through the Rock and Roll Memorabilia Expo at the Hotel McAlpine in New York City. I literally stumbled upon Lester Bangs. I did not recognize him at all, but then I didn’t know what he looked like. I just knew him from his byline in Rolling Stone and CREEM. He was sitting at a card table selling his collection of Rolling Stone magazines. As I poured over his pile of Rolling Stone issues I saw the mailing label with his name Lester Bangs typed on it. I don’t recall his physical street address but I think he resided in the East Village section of New York City. I remember that he was witty and sarcastic as hell. This matched the writing persona I had come to relish from Lester Bangs. We discussed music and bands. He was very articulate. He was also very direct. “Hey kid”, he said to me, “Are you going to buy some of my magazines or not?” I had every intention of purchasing his back issues as they were rare and from him. He had no love lost for Rolling Stone or Jann Wenner let me tell you. I forgot about that past interaction until I saw the movie, Almost Famous in 2000. The memory of my 15 minutes with Lester Bangs surged within me as I watched Phillip Seymour Hoffman portray Lester Bangs in the film. Having met Lester Bangs I can attest to Phillip Seymour Hoffman’s ability to capture and represent Lester’s dynamic/caustic personality. Its difficult for me to pinpoint my favorite Lester Bangs music article. 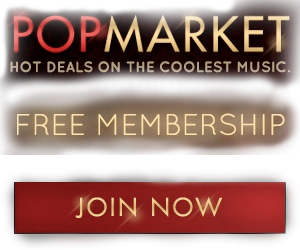 Thankfully several music journalists have captured his work for us to savor today. Psychotic Reactions and Carburetor Dung: The Work of a Legendary Critic: Rock ‘n’ Roll as Literature and Literature as Rock ‘n’ Roll a collection of essays written by Lester Bangs. It was edited by Greil Marcus and released in 1987. Let it Blurt: The Life and Times of Lester Bangs, America’s Greatest Rock Critic by Jim Derogatis is a definitive biography of Lester Bangs’s wild enigma.